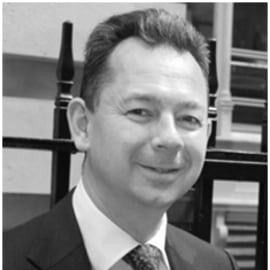 Ross is the Director, Public Sector at the ICAEW where he provides a focus for the Institute's work to improve standards in the management of the Public Finances, both in the UK and internationally. During his time at the ICAEW Ross has been active in developing a programme of thought leadership to assist governments in making improvements in public financial management and accountability structures. Before taking up his current role at the ICAEW, Ross was the accounting policy lead and financial reporting standard setter for the UK Central Government at HM Treasury. This was the senior professional accountant role at HM Treasury with responsibility for all financial reporting policy and setting the accounting framework for Central Government in the UK. Ross’ experience includes a number of senior roles in government include being the Group Chief Accountant at the Ministry of Defence and the Director at the National Audit Office responsible for the value for money review of Defence. Ross has also held a senior civil service role as Head of Commercial Assurance and Governance at the MOD, set up and lead the Department’s Commercial Scrutiny and Due Diligence team and was also Deputy Director of the MOD Private Finance Unit.